(SCOTTSDALE, Ariz.) – On Saturday, October 24th, nearly 12,500 spectators attended the Bentley Scottsdale Polo Championships: Horses & Horsepower, taking in all of the sights and sounds of the “world’s most interesting polo event.” This year’s attendance set a new one-day record. Celebrating its fifth anniversary, the event featured some of the world’s best polo players. Six competitive polo teams traveled to compete in three highly-contested matches. Some of the players included top American player Nic Roldan of the Aspen Valley Polo Club, top ranked player Andres Camacho of the Scottsdale All-Stars Polo Team, collegiate player of the year Kareem Rosser, and Wales’ top rated player Pete Webb. The day’s festivities included more than just polo. Fans also took advantage of The Canine Couture dog fashion show, the Larsen Art Gallery LIVE Art Auction, the World’s “Longest” Catwalk Fashion Show, and a preview of the world famous Barrett-Jackson Collector Car Auction. It also featured ballroom dancing field side for the first time ever, as well as a Phoenix Symphony quartet performance along with play, and a High Tea Tent by The Phoenician. This year also saw the debut of the Triyar Ivy League Lounge, packed throughout the entire day with over 1,000 people dancing and drinking in a nightclub like atmosphere. The first match on Saturday began at 11:00 AM with Barrett-Jackson Automobile Auction Company Chairman and CEO Craig Jackson making the first drop in the match between Polo Azteca and Club Polo Cabo, presented by One & Only Palmilla of Los Cabos, Mexico. In that match, Club Polo Cabo beat Polo Azteca, 9-8, and was led by the play of team founder Tony Yahyai. In the match that followed, local favorite Scottsdale All-Stars Polo Team took on rival San Diego Polo Club. Six-time Olympic gold medalist swimmer Amy Van Dyken made the first drop to get the exciting match started. Despite the tremendous play of Andres Camacho in the match’s second half, San Diego Polo Club beat Scottsdale All-Stars Polo Team by a score of 9-3. San Diego Polo Club’s first half lead proved too much for Scottsdale All-Stars Polo Team to overcome. Alvaro Tadeo led San Diego as he executed both offensively and defensively. dale Polo Championships’ Featured Match presented fans an opportunity to witness two of the world’s best polo teams face off against one another. Defending champion Clogau Wales Polo Team, featuring players Ricky Cooper, Pete Webb, and Roddy Matthews, faced Aspen Valley Club, led by Nic Roldan, Melissa Ganzi, and Juan Bollini. The Phoenix Suns’ Tyson Chandler, an NBA Champion and Olympic gold medalist, provided the first drop for the day’s most thrilling match. From the start, Aspen Valley dominated their counterparts and won 9-5 to be crowned the new champions of the Bentley Scottsdale Polo Championships. Roldan scored six of Aspen Valley’s nine goals. he polo field. More than 30 of Arizona’s most fashionable dogs participated in The Second Annual Canine Couture: Presented by Applewood Pet Resort & Bark Avenue. The World’s “Longest” Catwalk Fashion Show, produced by Phoenix Fashion Week, presented more than 100 models showing off the latest in top brands and fashion in Arizona. 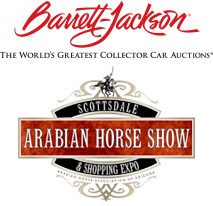 Fans also witnessed plenty of “horsepower” with a preview of the Barrett-Jackson Collector Car Auction, which will be held at Westworld of Scottsdale on January 23-31, 2016. The 2015 Larsen LIVE Art Auction, held in the Picasso Pavilion, was also very successful. More than 700 bidders from 45 states and 25 countries registered to participate in the Southwest’s largest contemporary live art auction. Sales of artwork from the auction entered seven figures for the first time. 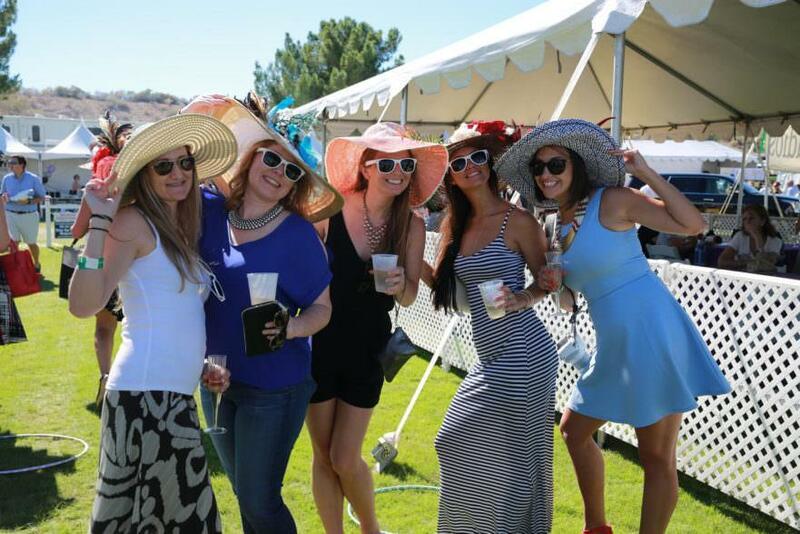 For more information on the 2016 Bentley Scottsdale Polo Championships, scheduled to take place on November 4, 2017, or to discuss tickets, tables or sponsorships, please visitwww.thepoloparty.com. To learn more, please contact Jennifer Parks at 480.495.3806, or by email at JParks@RoseMoserAllynPR.com.